Earlier this week, Planet announced its vision to index physical change on Earth and make it searchable for all. Today we’re unveiling a major step toward realizing this vision – the beta release of an exciting new solution called Planet Analytics. 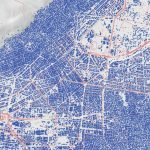 Planet Analytics leverages machine learning to transform our global, daily satellite imagery into information feeds that detect and classify objects, identify geographic features, and monitor change over time. These intelligent information feeds integrate into existing workflows and give our customers unprecedented insights about places they care about. 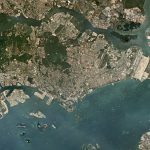 Governments and enterprises today are overwhelmed with the quantity and quality of earth imagery available today. Manual visual analysis or traditional desktop software prevent them from extracting relevant signals from the noise. They also lack frequent and recent satellite data, resulting in decisions based on incomplete or inaccurate information. In both cases, the data is vastly underutilized. Planet Analytics helps customers leapfrog traditional solutions by giving them access to what they really care about: frequent, actionable insights based on the most recent imagery available. So, how does it work? Planet Analytics uses machine learning methods to automatically identify objects of interest within specific areas (eg, ships and aircraft), as well as extract geographic features of interest (eg, building footprints, road networks, and land cover). Building Detection. Identify the creation of buildings in an area of interest (AOI) in order to create geographic information layers, update maps and charts, track urban development, and track change before and after natural disasters. Road Network Detection. Identify the creation of road networks in an AOI in order to create geographic information layers, update maps and charts, track urban development, and track change before and after natural disasters. Aircraft Identification. 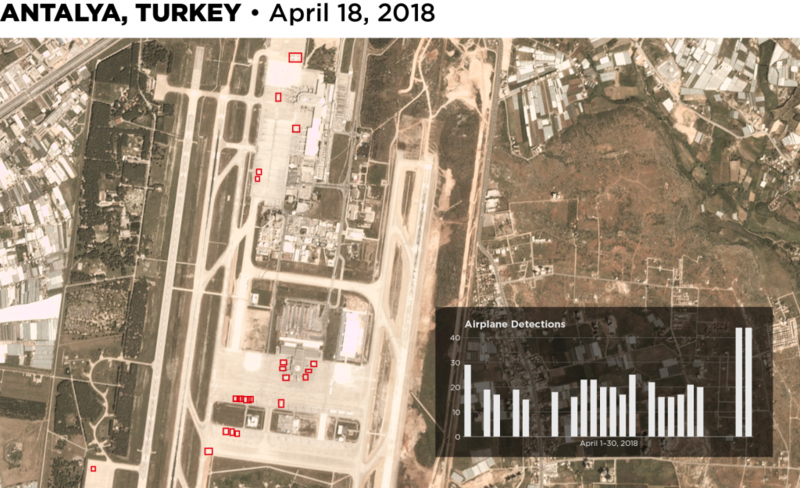 Monitor key areas, such as bases in Syria or North Korea, or monitor the movement and volume of aircraft over broad areas to understand economic activity. Maritime Vessel Identification. Monitor the open ocean and identify vessels in an AOI to track “pattern of life” activity as well as track specific vessels for law and policy enforcement. Deforestation Detection. Monitor land cover and land use change in an AOI for tracking deforestation, enhancing law enforcement, and validating sustainable land use commitments made by corporations and governments. Planet downlinks almost six terabytes of global data every day. As this data is fed into machine learning models, they will improve exponentially over time, and, in the future, detect new categories of objects. Importantly, information feeds can be plugged into existing workflows so that customers can simply layer data from Planet Analytics over proprietary and other third-party data and get a more integrated view for solving business problems. 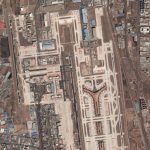 From spacecraft to ground stations to mission control operations, Planet has continually reinvented every part of the imagery production chain with the latest hardware and software. 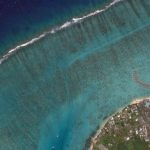 With Queryable Earth, we are moving closer to end-users and reinventing how imagery is accessed, analyzed, and applied. Planet Analytics is the first step toward this. Learn more about Planet Analytics by checking out the product page, and get in touch with our team about creating intelligent information feeds for your areas of interest.